The classic crime caper returns to mobiles this Thursday. Here's what you can expect. 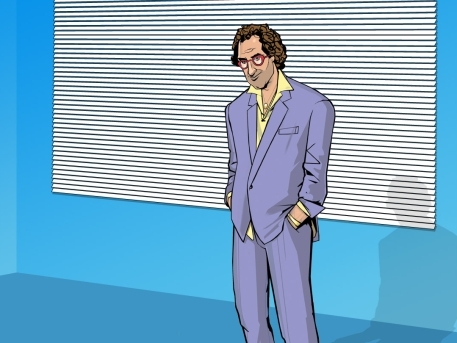 In just a couple of days, Rockstar will release a tenth anniversary edition of one of its most popular games of all time, Grand Theft Auto: Vice City. The classic, nostalgia-drenched fan favorite is due for release this coming Thursday, so we've rounded up everything we know about the game for you. However loved this old game may be, Rockstar are savvy enough to know that if you can give gamers a little extra technical sparkle, then you really should. 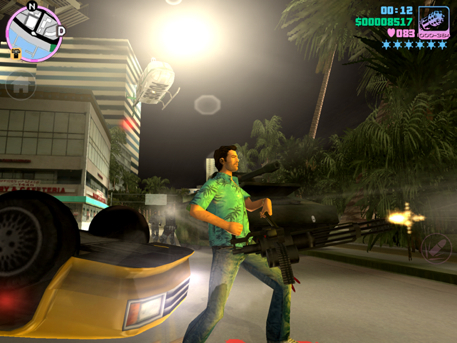 For the tenth anniversary edition of Vice City, this means you can expect crisper character models, improved lighting effects and (thankfully) much better firing and targeting options, ever the bane of Grand Theft Auto games on any platform. The good news is that Rockstar has been a little more forthcoming about the hardware you'll need to get the most out of the game. Last year's release of Grand Theft Auto 3 for mobiles disappointed a little when it came to performance, particularly for those who struggled with even basic compatibility. For clarity's sake, here's the full list of devices that will be compatible with Grand Theft Auto: Vice City 10th Anniversary. iPad, iPad Mini, iPhone 4, 4S & 5, iPod Touch 4th & 5th Generation. Motorola Razr, Razr Maxx, Razr Maxx HD, Motorola Atrix, Motorola Photon, Motorola Droid Bionic, HTC Rezound, HTC One X, HTC One S, HTC Evo 3D, HTC Sensation, HTC Droid Incredible 2, Samsung Galaxy Nexus, Samsung Nexus S, Samsung Galaxy Note 1 & 2, Samsung S2, Samsung Galaxy R, Sony Xperia Play, Sony Xperia S, P, T & TL, Sony Walkman Z Series Media Player, Samsung Galaxy S2, Samsung Galaxy S3, Google Nexus 4. All of the missions, all of the characters, and all of the gorgeous, sun and neon-drenched islands will be included in this mobile release. Oh, and there's some rather catchy music that might bring back some fond memories for you. From the classic 80s soundtrack of Emotion 98.3, to the catchy Cuban beats of Radio Espantoso, we can't wait to lose ourselves again in Vice City's classic vibe. If we had one complaint about last year's release of Grand Theft Auto III, it's that the controls left a little something to be desired. We're not exactly looking forward to tackling Vice City's RC plane missions on our touchscreens, but we do know that we'll be able to tweak the control layout to suit whatever situation we find ourselves in. 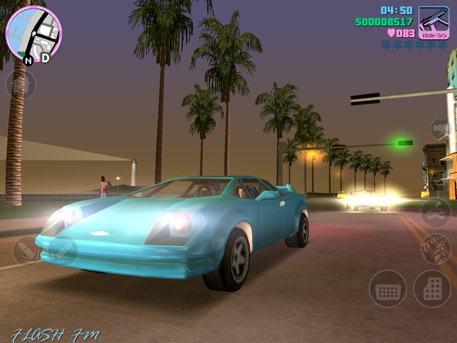 If you're lucky enough to have one of the latest Apple devices, then you'll be pleased to know that this new edition of Vice City will take full advantage of iPhone and iPad Retina displays. 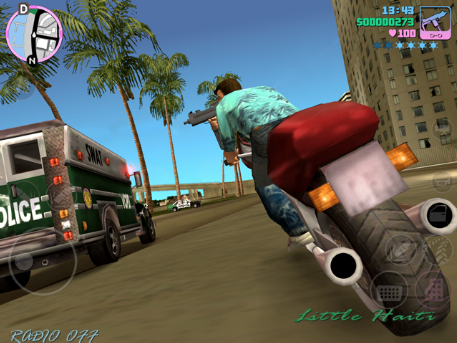 Given the combination of improved lighting and character models, as well as Rockstar's increased experience of mobile development since Grand Theft Auto 3, we're guessing that a Retina device is going to be the way to enjoy the re-release of this classic game.